Compacts 12 oz. and smaller aluminum cans. Crushes cans to 1 height. 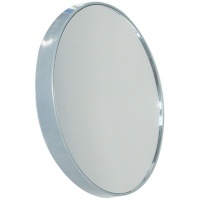 Suction cup mounting easily attaches this small, but powerful mirror to another mirror or any smooth surface. 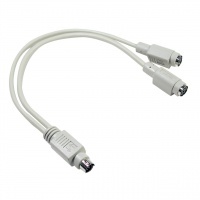 10 x magnification is great for make-up application, shaving, insertion of contact lens, eyebrow tweezing and more. Great for home, travel or purse. Dimension: 3.5 inches x 3.5 inches x 3/4 inches. Add powerful versatility to your monocular! 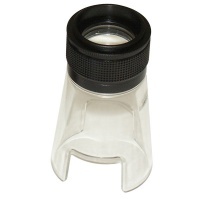 Attach your Walters monocular to the Walters 12.5D Micro-Stand (104-015) and add 12.5D magnifying power to the monocular and use it as a tabletop stand. Fits these Walters monoculars: 3.25x25, 4x12, 6x16, 6.3x25, 7x21, 8x20, 8x21, 10x20, 10x25, 14x20, 6x16R. Looking our best requires reflecting the best. Doing your hair and make-up has never been easier. 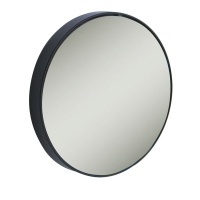 Zadro's 15x Magnification Spot Mirror features optical quality glass to ensure a clearer reflection of your true self. The 15x magnification is ideal for touch-ups, detail, and everyday make-up application. 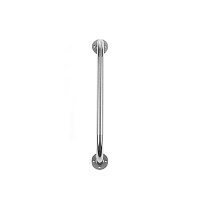 An internal track and comfortable turning knob allow the plunger in the body of the Measuring Cup to adjust smoothly to the desired measurement marking. Simply fill the cup with your sticky ingredient and turn the knob to push it right into your mixing bowl. The plunger acts as a squeegee on inside of Cup, getting out every last bit of your ingredient. In a pinch, the Cup can also be used for wet and dry ingredients, eliminating the need for multiple sizes of measuring cups and spoons scattered throughout your kitchen. The generous rim makes pouring ingredients easy. The 2 Cup Measuring Cup is dishwasher safe and is great for making batches of cookies and more. 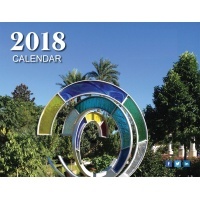 Time to get your new calendar! This brilliantly designed braille & print calendar is perfect for everyone - whether you are sighted, visually impaired or legally blind. Every month includes the year, month, weekdays, individual days and holidays in braille and print while leaving plenty of space for handwritten notes. Dimensions: 11.75" x 5.75" x 5"
Don't limit yourself to just potatoes with the OXO Good Grips 3-in-1 Adjustable Potato Ricer. This patented Ricer has three settings, easily changed with the twist of the dial, for many cooking tasks. While the fine setting is perfect for fluffy mashed potatoes, it's also great for parsnips, carrots, turnips, gnocchi and more. The medium setting is ideal for spaetzle and pressing water out of cooked greens, and the coarse setting is perfect for chunky applesauce, egg salad and pressing tomatoes for sauce. Since the disks are attached, there is no need to go searching for extra parts when you want to adjust settings. 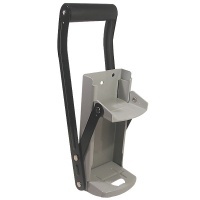 The brushed stainless steel Ricer comes apart for easy cleaning and has soft, comfortable non-slip grips. Prevent messes with the OXO Good Grips 3-in-1 Egg Separator. Simply hook the Egg Separator onto the side of a bowl and instantly have a perfect edge for cracking eggs. The base of the Separator catches runaway pieces of shell and prevents drips from running down the outside of the bowl onto your counter or table. This neat tool can also separate egg whites from yolks in one easy step. The Separator features two different ridges, allowing it to easily fit on thin- or thick-rimmed bowls, while the raised edge provides the perfect surface for neatly cracking eggs. The Separator's compact size makes it convenient to store and it is top-rack dishwasher safe. A wonderful activity for the blind and visually impaired. Activity consists of matching wooden shapes and tactile 3D cut out tiles. A cloth bag is included for storage. 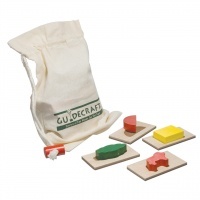 Game is played by placing the shaped pieces in a bag and then dealing out the tactile 3D cut out tiles and having the children find the corresponding shape by placing their hand in the bag. Enjoy unlimited and exciting new games.